Life on the Senegalese savanna can be brutal, particularly in the battle for dominance over a clan of chimpanzees, as one former tyrannical alpha male discovered recently in the most gruesome fashion. A new study, published in the International Journal of Primatology, explores the violent killing of chimpanzees by their fellow group members as opposed to rival clans. “It was striking,” says the study’s lead author Professor Jill Pruetz, a biological anthropologist and director of the Fongoli Savanna Chimpanzee Project. The alpha in question, named Foudouko, rose to power in the group as a teenager almost 13 years ago and became “somewhat of a tyrant,” according to Pruetz who has been studying chimps in the area for the past 15 years. Together with his ‘right-hand man’, Mamadou, Foudouko ruled the clan for years. However, after Mamadou was waylaid by a particularly nasty injury, his ranking dropped significantly – undermining Foudouko’s authority to the point where he was kicked out of the clan. The chimp spent months attempting to regain the confidence of his former clan and was eventually allowed back into the fold – but things did not go smoothly. “He was trying to come back in at a high rank, which was ultimately a foolish thing to do on his part,” Pruetz said, according to New Scientist. Researchers awoke to piercing screams before stumbling across the animal’s mutilated corpse. The former chief chimp was found bleeding profusely from a deep wound to his foot, bite marks across his arms, legs and back. He was also later found to have suffered major internal injuries as a result of a savage post-mortem onslaught, carried out with sticks and rocks by a group of younger males. 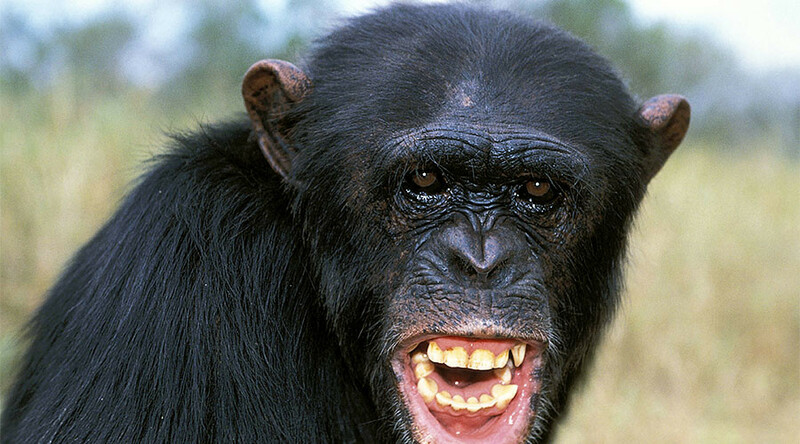 While such violence is not unusual in chimpanzees, it is usually reserved for enemy clans in territorial conflicts. His former clan ate a small portion of his flesh during the attack, but this is not typical behavior among adult chimpanzees. “Cannibalism of adults is uncommon – and they didn't eat very much of him at all,” Professor Pruetz told RT via email. 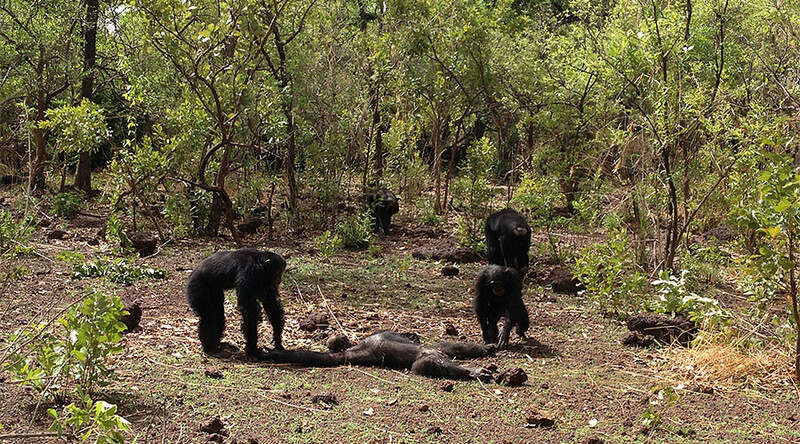 Mamadou attempted to revive Foudouko but to no avail, leading researchers to question whether chimps fully comprehend the finality of death. “It seems unlikely that they know about using pulse or breath to make sure something’s dead, so we do see them beating on individuals they’ve killed after they’ve expired. But the cannibalization was unusual,” Associate Professor at the University of Minnesota Michael Wilson told New Scientist.